Bebe Moore Campbell lived in Angeles, California with her husband, son, and daughter. The author died of brain cancer at the age of 56. 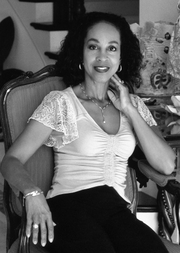 Bebe Moore Campbell is currently considered a "single author." If one or more works are by a distinct, homonymous authors, go ahead and split the author. Bebe Moore Campbell is composed of 5 names. You can examine and separate out names.